You know all kinds of electronic products, but have you ever wondered what impact the electronic products will bring to you? Electromagnetic waves play an important role in modern life. As electronic devices such as mobile phone, WiFi router or Bluetooth headset continue to populate our surroundings, our living environment is exposed to large amount of electromagnetic radiation. Walking on the street in Mongkok, you can easily see microwave transmitters or receivers of various sizes and frequencies. Have you considered their impact to you? Our living surroundings is exposed to electromagnetic radiation, which has profound impact on human health. Human cells produces a low level of electric field and magnetic field when we engage in different kinds of physiological activities. Under normal circumstances, it is stable and aligned. Once exposed to interference from other electromagnetic waves, those normally weak electric field and magnetic field could be disturbed, thus affecting the body functions. Although electromagnetic radiation from mobile phone will not cause immediate health problem, prolonged usage may cause fatigue, headache, anxiety and other chronic disease symptoms. We cannot avoid being exposed to the pollution of electromagnetic radiation, especially in modern living environment where electronic communications are so widely used. However, with Pico Technology, we can easily reduce the harmful effect. 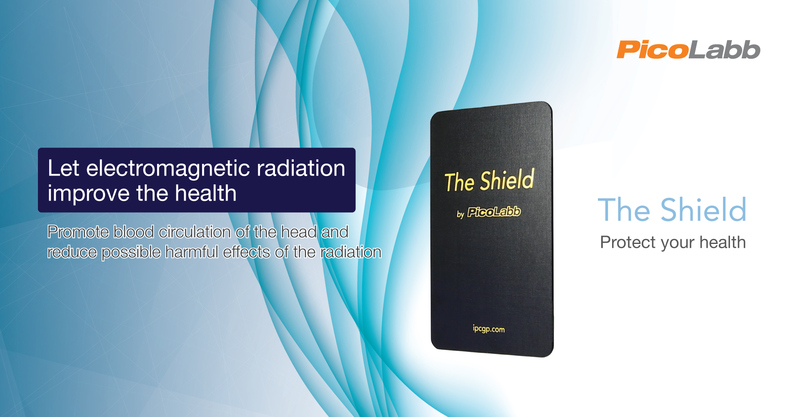 The Shield is an innovative Pico Technology product which makes EMF (electromagnetic field) an energy carrier to improve body microcirculation, strengthen the immune system, promote metabolism and improve general health condition, all without affecting mobile phone reception. East to use. Suitable for anyone. Simply put The Shield between the phone and the phone case to get the protection anytime, anywhere. The Shield is enabled by Pico Technology. © 2018 IPC Works Ltd. All rights reserved.